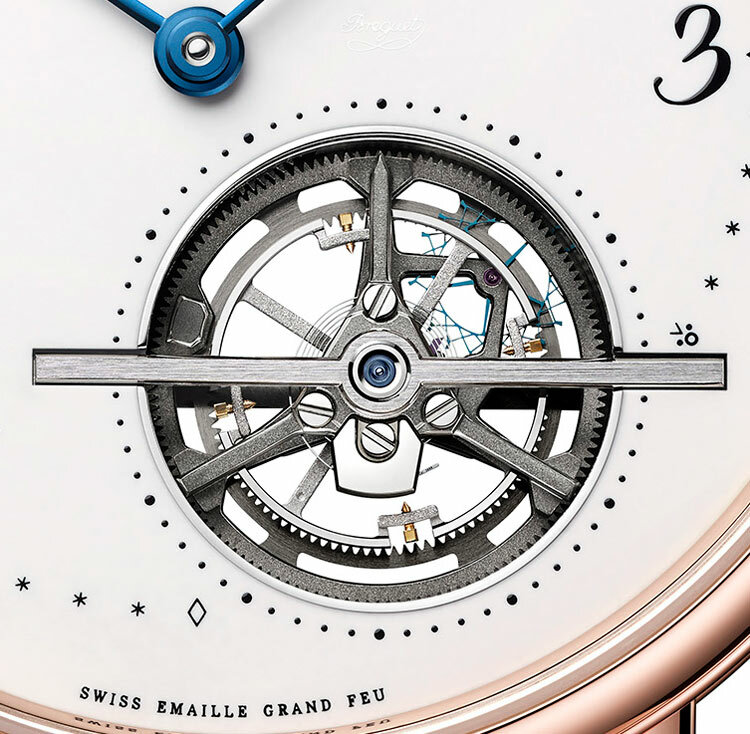 The tourbillon is for sure one of the most appreciated horogical feats among watch enthusiasts. It was invented by Abraham Louis Breguet which, on 26 June 1801, was granted a 10-year patent by the French Interior Minister. 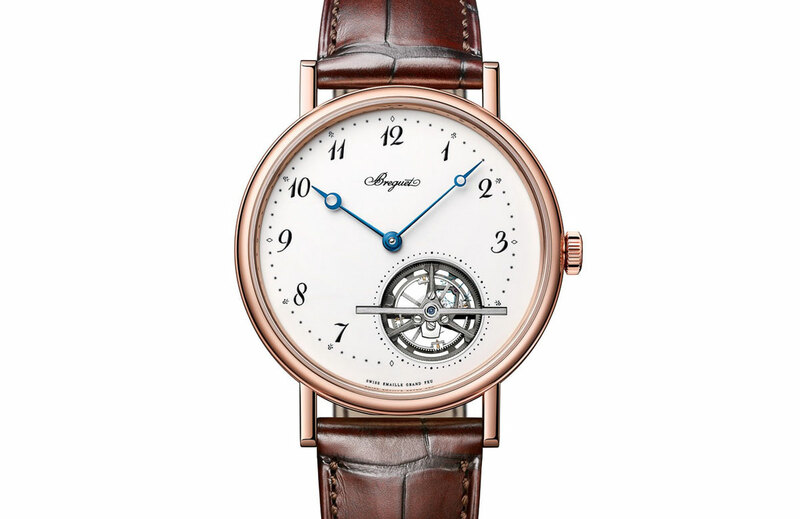 Thanks to his deep understanding of physical laws, Breguet realised that the way a watch run was affected by changes in its position. Changes were particularly evident when timepieces were kept in vertical position, which happened often considering that pocket watches were kept in the waistcoat pocket most of the time. He understood that the main cause of this behaviour was gravity. While it was not possible to eliminate the gravitational forces, he thought that it was possible to compensate them by installing the regulating organ (the sprung balance) and the escapement inside a mobile carriage performing a complete rotation about its own axis once per minute. 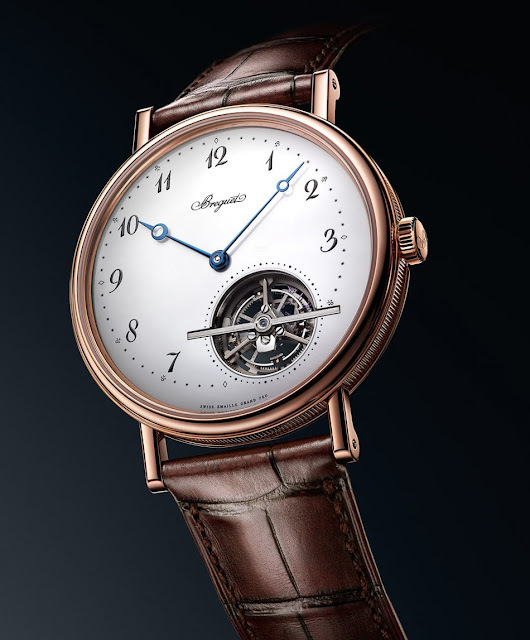 With this invention, Breguet not only improved the accuracy of pocket-chronometers, but created one of the most appreciated and fascinating horological devices. A tourbillon timepiece from the brand that invented this type of regulator is always something special and the just presented Classique Tourbillon Extra-Plat Automatique Ref. 5367 makes no exception. In fact, this exclusive model comes with a “Grand Feu” enamel dial thus combining the technical fascination of the tourbillon with the unique elegance and beauty of the enamel dial. The enamelling technique involves firing the watch face meticulously coated with successive layers of enamel at very high temperatures generally ranging from 800 to 900 degrees Celsius. This process continues until the dial has attained a radiant whiteness and glowing texture. 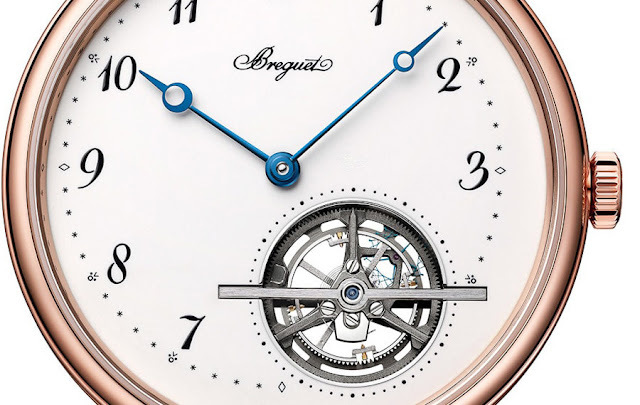 At this point, the famous Breguet numerals can be transferred on the enamel surface of the dial. The resulting dial is an example of clarity and minimalism but with details which add originality, like the subtly off-centered ring of the Arabic numerals. The inscription “Emaille Grand Feu” appearing at 6 o’clock remarks the preciousness of this dial, completed by thermally blued Breguet-type hands. The bar of the tourbillon, positioned between 4 and 6 o'clock and topped by a spinel, is carefully hand-bevelled. 42 mm in diameter, the new Classique Tourbillon is only 7.45 mm thick, an exceptional result which was possible thanks to the extreme slimness of the self-winding Calibre 581, just 3 mm thick. The combination of a platinum rotor with a high-energy barrel guarantees a power reserve of 80 hours. Beating at a frequency of 4 Hz (28,800 vph), the movement is richly decorated with hand-engraved bridges, barrel and oscillating weight. What to ask for more? It is perfect! Breguet Classique Tourbillon Extra-Plat Automatique with Grand Feu enamel. A tourbillon timepiece from the brand that invented this type of regulator is always something special and the just presented Classique Tourbillon Extra-Plat Automatique Ref. 5367 makes no exception. The Breguet Tourbillon Extra-Plat Automatique Ref. 5367 will be available in rose gold (5367BR) or in platinum (5367PT) and will be officially launched at Baselworld 2018. Price will be announced at a later time. 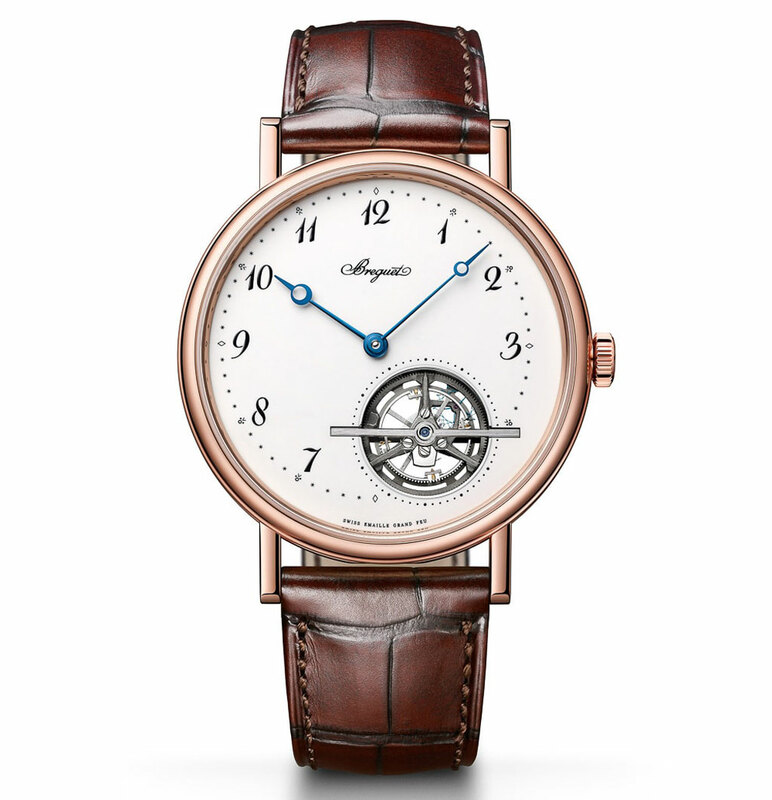 Breguet Classique Tourbillon Enamel Dial.